At Onestop Skin Clinic we use Dysport which is a type of botulinum toxin,a naturally occuring protein extract . It an anti wrinkle injectable for temporary improvement in the look of moderate to severe wrinkles. Instead of giving you the "frozen look," Dysport temporarily treats the facial muscles in just the area you want and does not change your expressions. To enhance your lips and to add a soft shape and volume we use Emervel which is a latest technology in fillers. Cosmetic injections provide unprecedented potential for turning back the clock with effective treatments that will resolve your skin worries. 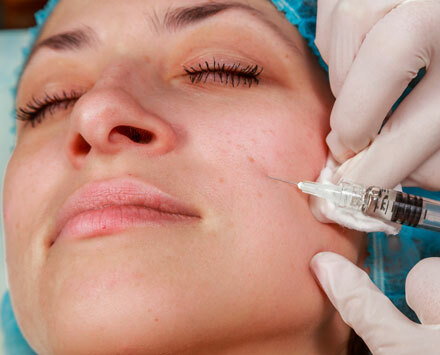 We offer expert advice about how injectables may be used to address your individual concerns.